Sometimes the thing that makes us go over budget are certain triggers that take away our self control. You know, those things that send you into a spending frenzy or make you overpay for an item when it’s just not worth it. There is one way to stop them and that is to do your best to avoid them altogether! One main trigger is stress, being aggravated, feeling down, or on edge. Seeking out shopping as an outlet while you are on edge or upset is completely normal. BUT it’s not healthy and really leads to a lot of impulse buys. Try to find a new outlet for your emotions, something like yoga, walking, doing puzzles, a long hot bath, or even playing with your kids. It might take awhile to retrain yourself but if you keep at it you can nip that bad habit in the bud. Just like with stress, many of us use shopping to fill the void of boredom. We aimlessly browse the aisles or online to kill time and it ends up leading us into many purchases we might not otherwise make. 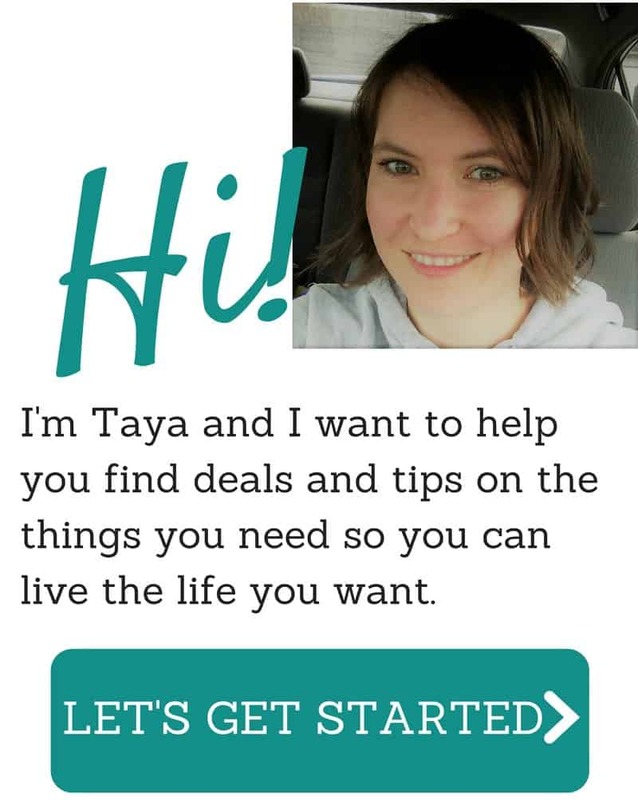 If you are shopping simply out of boredom find another way to relieve the boredom – read a book, take a walk, have some friends over or clean out a closet and donate a bag full of items – what a great way to reverse the spending! Plain and simple, shopping can be an addiction. Those sparkly shoes fly into the cart, that butter soft purse goes right on top, and heck, toss in that new set of towels. Everything you like is getting tossed into that cart…and it feels great! Shopping can be a real high for some but unfortunately, like all highs, the euphoria is short lived. Especially once you realize the balance of your credit card or bank account. If this sounds like you, look for healthier alternatives, like sports and exercise, to get that same rush of excitement, or your addiction can ruin your life. Maybe it’s not some “bad” emotion or stress that is causing you to spend impulsively but something fabulous that happened. Maybe it was that raise you finally got at work, or you finished a semester at university with top marks. While rewarding yourself for big things can be important and a great motivator, it’s important to keep your rewards in check. Instead of a big spending binge, try taking yourself to the movies or grab an ice cream cone. Small rewards can feel just as great as big ones. Just because it’s on sale doesn’t mean it is necessarily a good buy. Do you really need it? Will it get used? Is it worth the sale price? The lure of a sale can make us buy things we wouldn’t normally buy just because it looks like a deal. Look carefully at your motive behind the impulse to grab it. If the item is something you would normally buy, you can still take a little time to comparison shop and make sure you are getting the best deal. Sometimes it is impossible to get to the store without kids but if you can, I suggest you do your shopping without them in tow. Grocery stores and every other kind of store is intentionally designed to turn them into materialistic begging little children. Candy…right at the checkout with other items like trading cards, as seen on TV items, and little toys that call out to our kids, and they listen! But even as you stroll the aisles it could be a special box of cereal, a treat, just one lunch pack, one convenience food, etc.. and we add way more to our cart than we would if we were alone following our carefully crafted list because we love those little children of ours! Too tired to cook? Just pull up the Domino’s app and pizza dinner will be at your doorstep in minutes. Convenient yes but does it lead to needless overspending? I think so. As convenient as they may be, when you have Domino’s, Amazon and other similar stores apps on your cell phone or tablet it makes it too easy to make impulse buys. Consider deleting all your shopping apps and maybe taking the extra step to get on the computer or phone will cut back your spending. In both instances there’s a disconnect between us and our purchases and it makes it so much easier to part with our hard earned money. 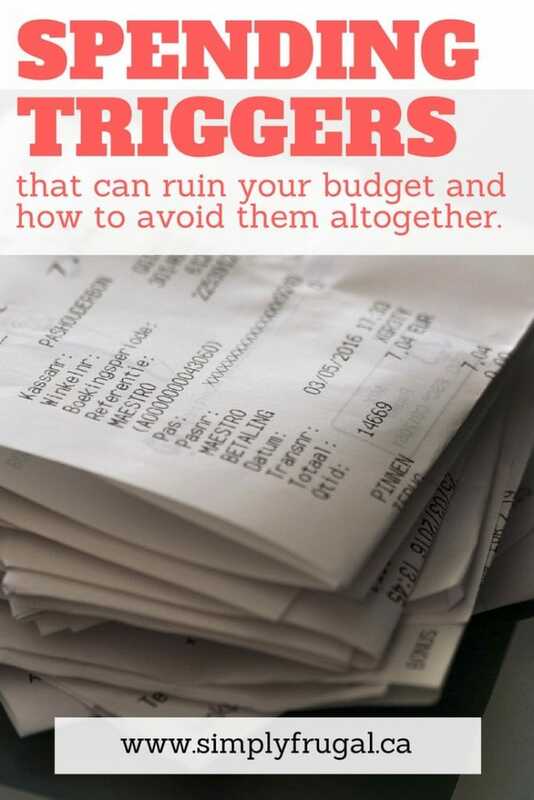 A great way to pinpoint your spending trigger is to stop every time you want to make a purchase and try to figure out why. Do you really need it? Are you just bored? Are you only buying it because it’s on sale? Keep track in a notebook, you might be surprised at what triggers you to spend. What triggers your impulse spending? How do you try to deal with those triggers?